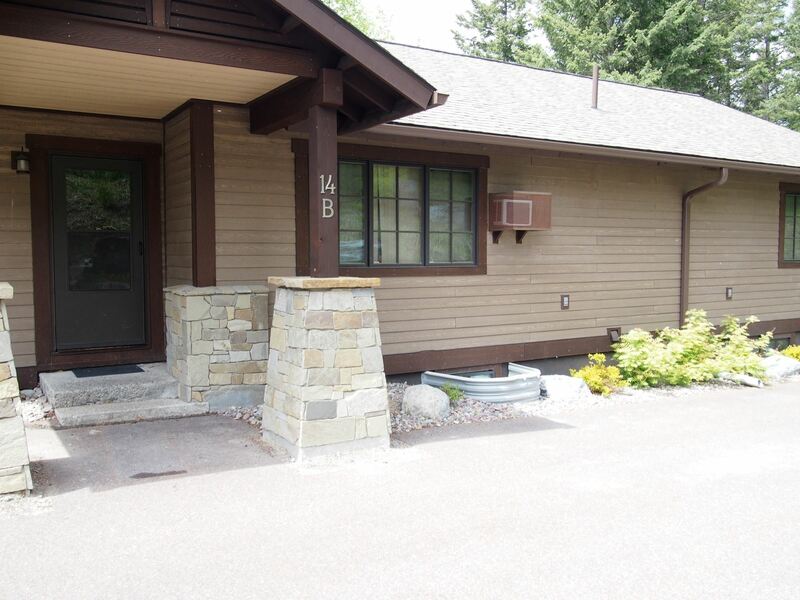 This hillside condo is a 5 min walk to the lake and has 1 bedroom, 1 bath and can sleep up to 6. In the bedroom there is 1 queen bed and 1 bunk bed. The condo also has a hide-a-bed in the living room. The condo is a 1 bedroom unit so 6 guest would be the max. The condo also includes 1 parking spot along with common area parking. Fireplace, AC, tub & shower, deck, barbeque, cable & internet. 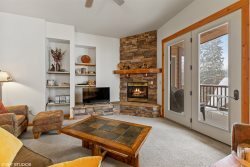 Shared pool, hot tub, sauna (Seasonal), game room, laundry facilities on site, 500 ft of private beach front & a private boat launch.